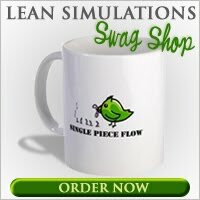 I posted previously about the kanban pizza game, and it seems I'm not the only one interested in this lean game. 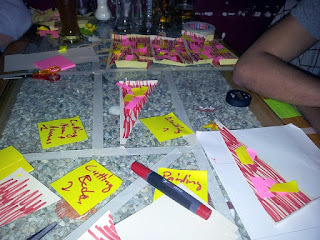 More and more people have posted pictures and links to their experiences with the kanban pizza game. Being a fan of lots of data, I thought it would be prudent to increase our sample size and link to lots of information on this game. The picture above comes from a post on www.renemt.de. The blog post shows the game being played over a few pitchers of beer. Sounds like a lot of fun! Lean games need more beer. Next we have an informative kanban presentation on Slide Share. Need a short presentation to show before you run your own version of the game? 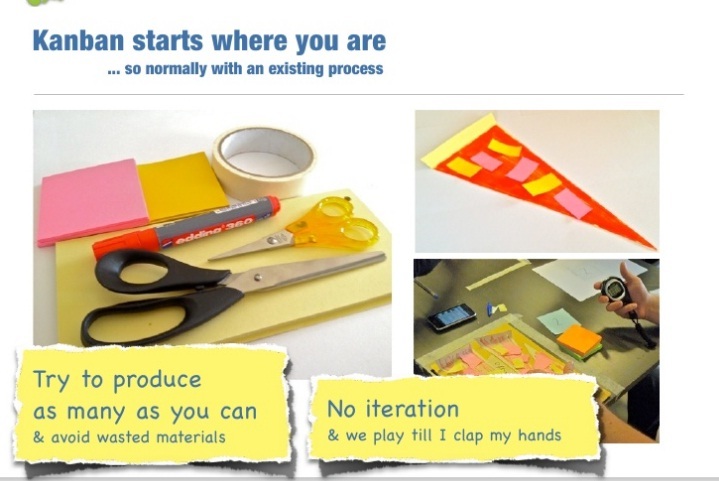 This slide show looks like it was put together by the agile42 guys, introducing the kanban pizza game and walking your team through it. Here's another description of the game on the agile 2012 website. This description walks you through the game, highlights some benefits of kanban and provides some of the learning objections of the lean game. I do have one technical question about this game. How many pizza slices fit in the oven and how long do you set the stopwatch for the over? So the world loves pizza! And many people are playing the kanban pizza game. Have you given it a try yet? What was your experience? It's actually more important to set constraints on the oven than which you set: I've done it with 1pc for 45s (burnt=waste if >60s) and 3pc max for 30s (burnt if >45s). What I love about the game is that it focuses on sensing and responding to the system, and that players start with what they do (k)now, instead of starting with an arbitrary IT process like most other Kanban board games. Have fun playing it and thanks for your inspiring post! Thanks for the insight on the oven, Olaf! I wasn't sure on the exact timing for it. Most of these games are great for showing how to manage processes with different times. Each group is different, so the bottleneck can change depending on the dynamics of the group. It comes down to your comment about sensing and responding. When the system is solid, the appropriate response isn't difficult. But when you have a bad system, the response isn't clear and could make it worse.